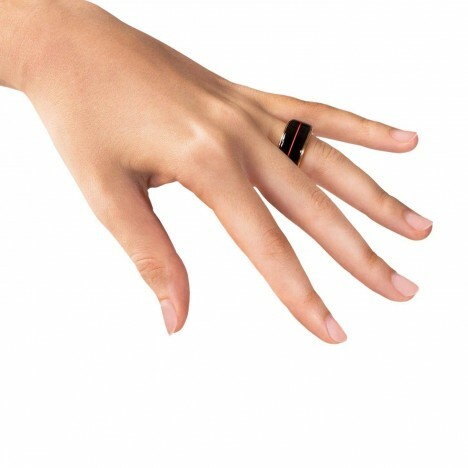 A touching substitute for physical contact in the digital age, this ring is designed for remote relationships, letting you feel your lover’s pulse wirelessly (and them to feel yours). The Touch ring links to your wireless device and taps into the internet to share your pulse with a paired device on a partner’s finger. The ring glows and the jewelry is made of stainless steel or solid rose gold and a crystal sapphire surface that prevents scratching. All in all, as wearables go, it looks quite elegant, and can feature an inscription, too. While it may not replace FaceTime, Skype or personal contact over the long haul, it does provide a hand-holding reminder of your loved one when you are forced to spend time apart. 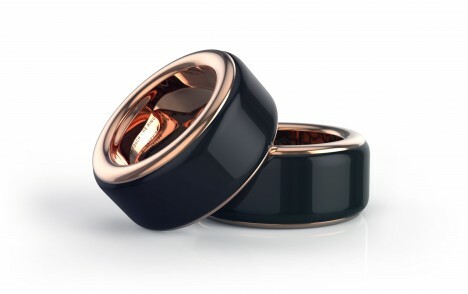 “After long waiting, for those who wonder how HB Ring in Rose Gold and Jet Black looks on hand. 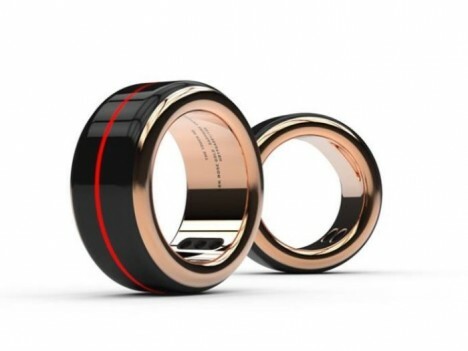 The red lighting stripe shows the real-time heartbeat of your loved one directly on your ring. Pre-orders of limited series coming soon…” It may never be a perfect replacement to IRL snuggles, but it sure is a neat new way to keep in touch. See more in Home & Personal or under Gadgets. August, 2016.